Since the end of 2009 an experimental version of YafaRay showing some of the features we can expect to be on YafaRay 0.1.2 is available to download. Now, the same version has moved from an experimental build to a beta state, which means that in a short time the stable release will be available. How this new release of YafaRay could help architectural visualization artists? There are a lot of new features on this release, and talk about all of them would required several articles. Let me show two of those features that have been already mentioned here in the past. The first feature is the ability to use IES Lights with Spot Lamps. 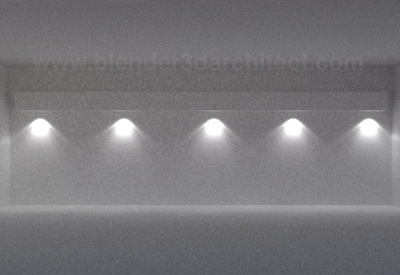 This new feature will help us to work with real light emittersâ€™ information, and create better light design visualization. The second new feature is a brand new shader in the materials tab called Roughglass, and it can create exactly what you are thinking right now: frosted glass. 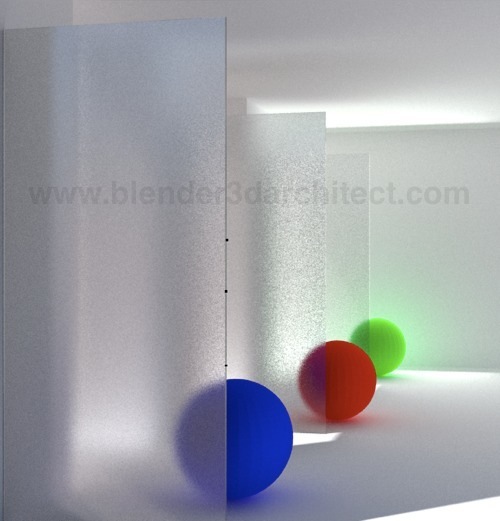 If you ever tried to create frosted glass in YafaRay or Blender, you know how hard it is, but with this new shader the process is quite simple. If you want to try the YafaRay 0.1.2 and see the full list of new features, visit the YafaRay 0.1.2 Beta thread at the YafaRay user forums. By now there is only a binary for windows 32 bits, but soon new options will appear.